Canadian-American actor Peter Donat, who was best known for his role on 'The X Files', passed away at the age of 90. 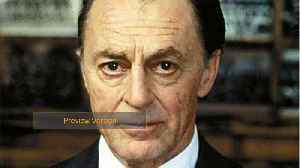 ▶ Videos for "Peter Donat"
Comicbook.com reports that actor Peter Donat has died. Donat has starred as Fox Mulder's father in The X-Files. He passed away on Monday in his home in Point Reyes Station California. According to his..